SEO Circle is known for Social media marketing in Mumbai. Social Media marketing is a process through which website traffic or attention is achieved through social media sites. Social media sites are known for the electronic word of mouth where users share any statements about any product, service, company or event. The process of social marketing involves the effort to produce such contents which can encourage users to share it on the social media sites thereby promoting their products and services. There are different tools for efficient marketing with every online marketing channel which includes Social Media Marketing as well. We work with these tools to make sure you attract maximum readers. On the behalf of Social media marketing management in Mumbai, we offer a range of services. The strategy for social media marketing is done by our managers. We then analyze whether the strategy has worked or not and prepare a report on it. Writing a unique content for social media is another service we provide. Content should be according to what your business is offering and must be written to draw the attention of the users. We build social media profile cover like Facebook and Twitter page with images especially for your business. We with the efficient Social media marketing management in Mumbai help you remove your biggest challenge of planning the proper strategy for social media marketing. Business owners especially the newcomers do not get time for strategizing. We hence take up the challenge and help in the planning. Our services in Social media marketing management in Mumbai work with different business according to your needs and requirements. Many business owners know the benefits of using a social networking but do not have time or patience to post, update and manage the campaigns and pages on these sites. Here we help you in managing these activities while you can take care of running the business. 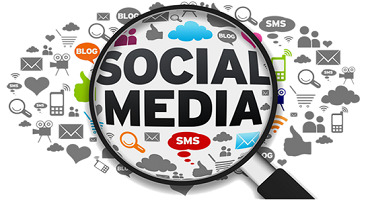 SEO Circle provides the affordable Social media marketing management in Mumbai. Whether you have a big business or small or have a big budget or small, we are there to provide the best services in social media marketing.